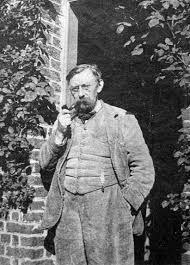 Noted for helping to create and establish the Symbolist Movement at the turn of the 20th Century, Emile Verhaeren was born in 1855 in the Belgian town of Sint-Amands. His parents were reasonably wealthy and he grew up speaking French despite their Flemish roots. When he was ready for school, his father sent the young Emile to a very strict Jesuit College after which he went on to study law at the university in Leuven. It was about this time that Verhaeren began to write poetry and met a number of other students who aspired to literary heights in the future. 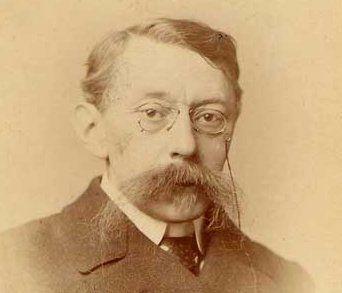 In 1881 he qualified in the legal profession and went to work for well-known criminal lawyer, Edmond Picard, who also had pretensions of being a writer and was active on the local artistic scene. Whilst Verhaeren worked a couple of criminal cases for Picard, it soon became apparent that his future lay elsewhere as he came into contact with those who were trying to promote an artistic revival in the country. 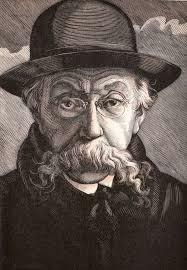 He finally became a leading voice for the Symbolist Movement that was growing in Belgium at the time and helped to establish the literary magazine La Jeune Belgique, writing a number of articles that promoted literary fledglings such as James Ensor. 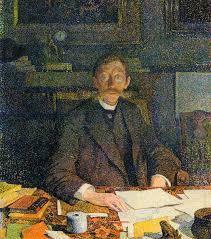 Verhaeren was quite a prolific poet himself and his first collection, Les Flammandes, came out in 1883 when he was 28. Whilst it was a success in his own, rarefied circles, the collection caused some controversy amongst the Catholic population at the time. If he was hoping for more success, and more controversy, with his second book, Les Moines, he was to be sorely disappointed. 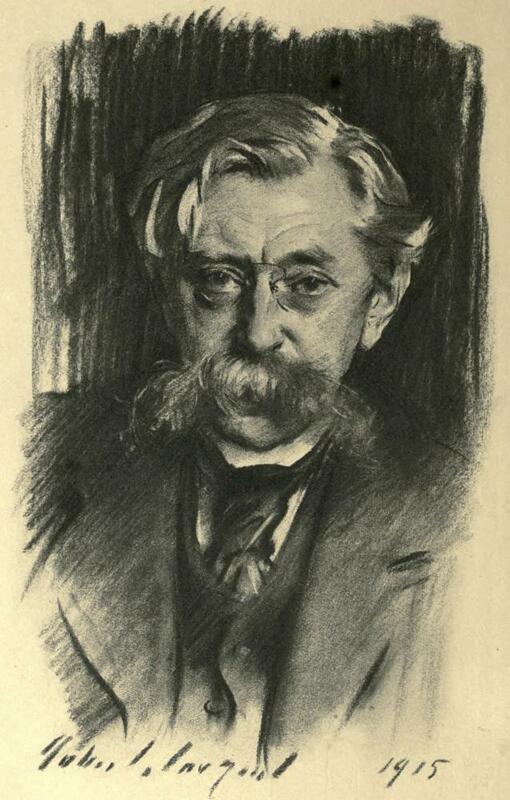 The collection was published in 1886 but received a cool reception, a state of affairs that affect his health badly and sent him into a lengthy depression. 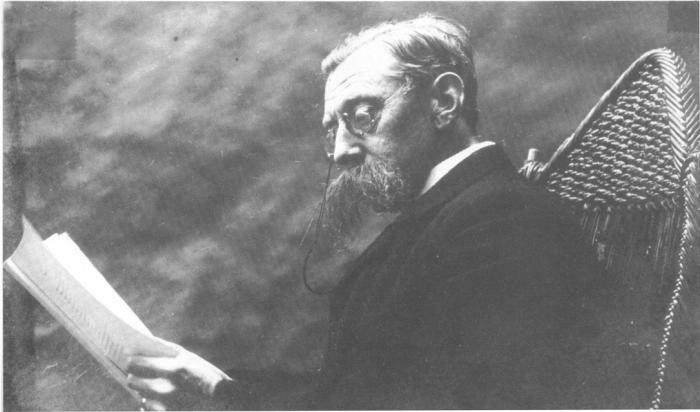 It did not stop him from publishing three more collections over the next few years but it wasn’t until he married Marthe Massin in 1891 that he found a level of happiness once more. 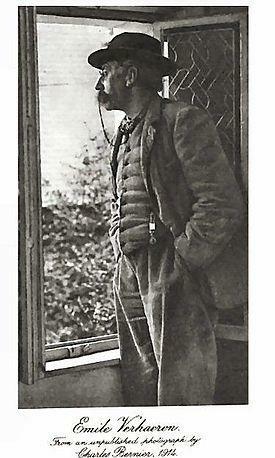 This change in temper came across in his next collections including Les Heures Claires and poems such as Les Blés Mouvants. 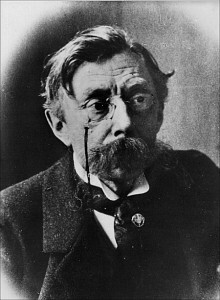 As his writing career blossomed, Verhaeren also worked on a number of plays such Les Aubes which explored the injustice meted out to the poor and what he saw as the inevitable decline of country life. As the 20th Century approached, he became famous across the world and moved to Paris, traveling widely to give numerous lectures and readings. 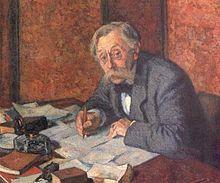 In 1911 he was nominated to receive the Nobel Prize for Literature but narrowly missed out on the award. 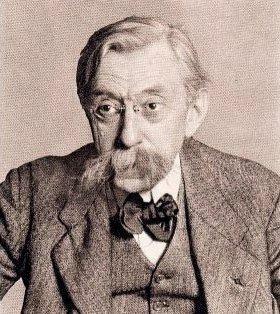 At heart, Verhaeren, like many of his literary compatriots, was a pacifist and he was deeply wounded by the tragedy of the First World War, exiling himself in England for a while. For short while he returned to France but whilst boarding a moving train in Rouen he slipped and fell and was killed under its wheels. 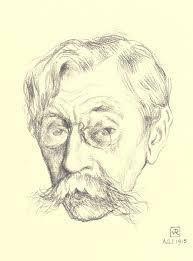 Verhaeren was 61 at the time and remains one of the most influential poets ever to have come out of Belgium.